After At The Drive-In called it quits, there was The Mars Volta. 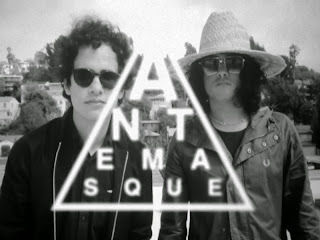 After that ended, Omar Rodríguez-López and Cedric Bixler-Zavala formed Antemasque. A few first tracks sounded promising and now you can listen to the full self-titled album. Despite rumours Flea is not a member of the group but he is playing on some tracks. Listen to it below.